Greg: Welcome to this edition of The Greg Fly Podcast, my excuse for talking with people I find interesting about subjects I’m curious about. I’m Greg Fleischaker, your host and today, I’m lucky enough to have Mike Mueller on the phone. Mike is widely considered as a top expert in many different topics such as blogging, WordPress and social media. I’ve had the pleasure of knowing Mike for at least five or six years, probably longer. I have to admit, I’ve done an awful job of availing myself of his deep reservoir of knowledge, which is why I’ve invited him here today. Mike, how are you? Mike: I’m doing great. Thank you. Greg: It’s a pleasure. It’s been a long time, hasn’t it? We touched base, I guess, years ago, talking about blogging, WordPress and real estate and all sorts of stuff in general, I guess. Mike: Yeah. You know what? To tell you the truth, I think you were building a pizza oven at that time. That’s what I remember. Greg: Oh my gosh! This really will date it. It has been a long time. That pizza oven, I did build it. It has since been retired and we had to break it up with a sledgehammer because it was so heavy. It was too hard to move and it’s the foundation of my back porch. 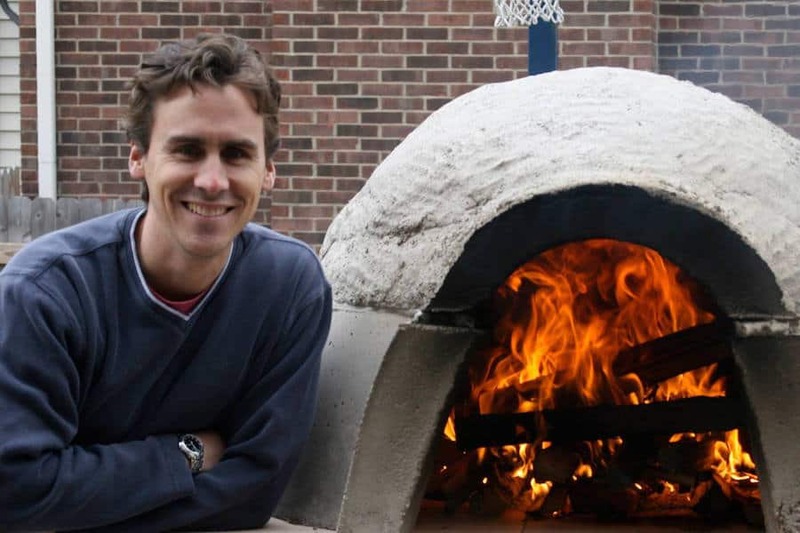 Mike: Our relationship has outlasted the pizza oven. Greg: That thing was made out of really, really expensive high temperature castable cement. We had it for quite a few years. It’s too bad that you never got here to see it, but, yes, I remember that now. Greg: Actually, that’s an interesting point. You were already pretty well-established in social media when I was just learning about it. One of my questions, which I’m sure a lot of people have, is “What do I blog about? What do I tweet about? What do I put on Facebook?” Any of those kinds of questions. Your response was, “What is it that you like doing? What is it that you’re actually passionate about?” At that time, for me, I’m still passionate about cooking and eating well. Mike: Part of that is because … We can go the other way as well, but part of it is because if it bores the tears out of you to do it, you’re just not going to do it. If it’s something that you’re passionate about, you’re going to do it. Greg: I think what a lot of people … Obviously, I’m in real estate. A lot of people think that if I’m in real estate, I must blog about … That’s one thing they hear, “I must blog.” They hear that a lot. What do I blog about? I must blog about market statistics or something that is important but not super exciting. I don’t think the real estate industry has really caught onto developing a persona, but really what it is, I describe it as picture your perfect client. The next one you want to work with and develop a persona who that person is, what they’re interested in and how they go about gathering information and all of that. Are they interested in market data reports? If that’s your perfect client, then you better be doing market data reports. I think personas guide you to what you’re supposed to be writing about. Greg: Do you have a marketing background that you rely on when you come to blogging? When you come to website creation? Mike: You mean as far as me personally? Mike: I’m a student of marketing, let’s say. I’m a student of everything. I wouldn’t say I’m an expert on anything, because everything changes. Greg: I would disagree with that. Not that everything changes, I would definitely say you’re an expert, but you stay up on it and you’re curious and you like to ask the questions and you like to get in there to play with the newest and greatest to find out if it actually is greatest, or if maybe something else might be better. Mike: Yeah, definitely. That’s being a student. I might know more than other people, but I’ll take the compliment but I think of myself as a student. Greg: I would like to think that you can be both an expert and a student. They work hand-in-hand. I think they’re four major topics that I wanted to pick your brain about and we can go in whatever order you would like to go in. 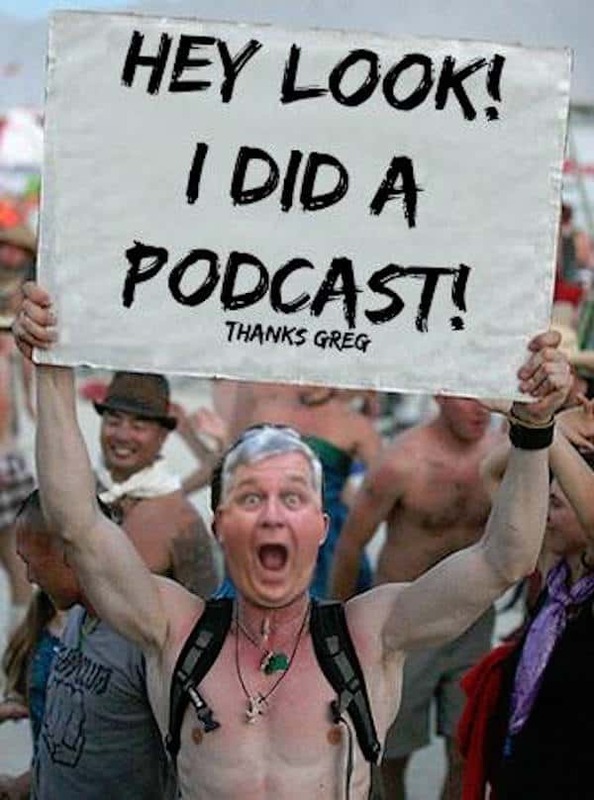 Greg: Blogging, WordPress, podcasting, social media. Is there an order you would put that in? Or, are they all part of one entire online presence? Mike: They could be, certainly, they could be. Let’s talk of blogging. I think that’s the root, because we can incorporate all the others that you mentioned as far as that goes. Greg: Blogging would be the platform that you get to spread out and incorporate the other pieces into or onto? Mike: Yeah. For me, I was at the root of blogging when blogging first started out. This goes very, very far back. There’s a little company here in San Francisco called “Pyra Labs.” Pyra Labs created this … There was a language out there or code called “PHP.” Pyra Labs grabbed that and said, “Hey!” Typically, PHP was basically something people who were writing code in different places could update each other. “Hey, I worked on this today. Hey, I worked on this today.” Then, it’d chronologically, you could look and see who worked on what and how far they got and that kind of thing. In effect, it was blogging. It was the roots to blogging. But, Pyra Labs actually made it into a public platform that you could actually take this PHP and create a website. I was building websites in regular old HTML. They created this and all of a sudden, anybody … they didn’t have to know code, didn’t have to know HTML, you just fill in this box, and all of sudden, it shows up on your website. That’s how I got into blogging. That’s the beginning of blogging, for me. Greg: Wow! That sounds like that’s the beginning for almost everyone. You were really at it when it came into being. Greg: I didn’t know that. Mike: In essence, I helped to found Twitter. Mike: Can I say that? Greg: I’ll give it to you. Mike: It was all me. Greg: Absolutely. Once it became easier for some of the non-super technical among us to blog, why is it important to do so? Why do you feel that real estate agents or small businesses or anyone really ought to take the time to do it properly? If you’re going to do it, you should do it properly, right? I just assumed that you think you should do it properly. Mike: I’m going to say you should do it properly but just do it. Just do it to begin with. Given that, there’s a couple of really important reasons. One, I think it clarifies your mind. When you’re writing about a topic, you as … It doesn’t matter what industry, but we’ll stay with real estate and you’re going to explain a certain concept to a buyer, to a seller, whatever it is. It clarifies your mind because you’re going to formulate that into a blog post. The next time your face-to-face with a seller and you’re going to explain this exact same thing, all of a sudden, you’re basically reading in your mind your blog post. I think it really helps as far as that goes. Another good reason is you’re now a library. If you just blog once a week about different topics, you’re going to have a fabulous library that you can reference back. If you’re dealing with buyers or sellers or what have you, you could say, “Hey! You know what? Great question. Here’s the answer, but I also wrote about this in-depth, over here.” You can always point them to that. That’s phenomenal. Mike: Yeah. I write typically a lot about WordPress. I write a lot about social media, Facebook, that kind of thing. Most of my articles fall into the “How to” and this will all relate in just a second. I want to get back to why you should blog. Looking at your different funnels and we’re talking about sales funnels and how people come into your life. There are many different ways of getting them there. When we’re talking about online, there’s two direct ways. Well, there’s two ways. There’s direct marketing, so you’re running Facebook ads and that kind of thing, Google ads. You’re forcibly sending people directly to whatever that is on your site. Or, you’re looking for SEO, search engine optimization. You’re looking for people to put something into Google and click on whatever you’ve written and you want to rank high in Google for that. That’s how you’re going to grab people. Going back to what I do and my how-to articles and that kind of stuff, that’s exactly … I’m writing to the persona of the person I want as my next client. Greg: You picked that persona out years ago and have been working for years. Is that how you decide what to write on next? Mike: Mm-hmm. (affirmative) Yeah. It’s evolved as far as that goes because times change, people change. I think my ideal client is a little bit smarter, so I’m writing a little bit higher level technology-wise, let’s say. Greg: I’m convinced. I have been convinced for years that blogging is key. I know WordPress is your baby. Why WordPress? Why not some other platform that’s available out there? Mike: There’s a lot of platforms out there. There’s going to be even more as life goes on because people keep trying to re-create the wheel and that’s all great. I’m going to say WordPress is the biggest one out there. I think WordPress powers over 25% of the internet. Mike: Yeah. You’ve got to figure, “Well, that’s great. It’s only a quarter.” But, all us small business people, we don’t have teams of coders to create the website that we want. WordPress is doing a phenomenal job doing that. To be totally honest, I work for WordPress. I work for wordpress.org. I’m a contributor to that side of it. wordpress.org, for people who are not familiar with it, there’s two different versions of WordPress. There’s wordpress.com, which is a for-profit company. They’ll host your site and you can do some things. Basically, they’re hosting your site and you can’t do everything that you want. WordPress.org, is who develops WordPress and it’s all volunteer-based. At least, an hour, sometimes two hours a week, I donate to wordpress.org and help develop. There’s a lot of other people who are doing this. Really, anybody can. Anybody can get involved. That’s how WordPress gets developed and new versions of WordPress comes out and new features and things. Greg: I didn’t think it was possible. I like you even more. That’s a nice little plug for yourself. That’s nice. I didn’t know you contributed that way. Mike: I do. I found a little niche that absolutely and I’m going back over to my passion, I love teaching. I’m actually not writing code, I’m not writing features, I’m not writing plug-ins, but I’m actually in the teaching department. You go over to my bio and there’s a link right over there, but we are training people who teach WordPress. We’re writing the curriculum, how to, and, in particular, the one I’m working on right now is managing media. When you upload the “A”, that could be a word doc. That could be an image. That could be a sound file. It could be a podcast just like this. How the media manager works with all that. Greg: Cool. In your other time, you’re not volunteering, you install or your build WordPress sites for clients. Small businesses, typically, I’m assuming, can contact you on your website and you’ll help them out. Mike: Yeah. Exactly that. I build WordPress sites, and I do mostly real estate, although I get to dabble in all these other industries. Most of what I do, is I build real estate-centered sites. Greg: Why real estate? I’ve been curious about this for a while. That’s where you and I first met in talking about these subjects was a real estate conference, I guess. Why real estate? What is it about real estate that drew you to that field? Mike: I guess technically, I was a tech person first. I was actually in the tech leasing field. This goes back to early 1990s or so. What we were doing is we were leasing racks of modems and switches and hubs and stuff like that to the old-fashioned internet service providers. Basically, what that was physically, was somebody had a closet somewhere and they put in a rack of modems and ran some phone lines to it. That’s what your modem would connect to and make all of those noises and things like that. I was doing leasing for that. Almost overnight, 1995-ish, ’94, ’95, somewhere around there, they all got bought up. Every single … It was a mom and pop industry, basically. Anybody could do it. Then, all of a sudden, all of these internet service providers got bought up, overnight, and all became, like Netscape or AOL bought them. It was this land rush. They were all gone. My entire industry disappeared. I had a friend that was in the mortgage industry and said, “Hey, you know finance. You want to come over and see what the mortgage industry is about?” That’s how I got into real estate. I’ve never sold a house and I ran a mortgage company, did the technology for a couple of different mortgage companies, that kind of thing. Worked for a very large title company. I was first and foremost, a tech person. Greg: That’s funny how life just happens to you. You’ve got to roll with it. Greg: If it’s all right with you, there are a couple of more things I wanted to talk about, but we’re coming up on the end of time. Can we do a part 2 and come back and do a couple other topics? Greg: If someone’s listening and they want to get ahold of you, what’s the best way? Mike: I would say, go to my website, areweconnected.com. That’s a-r-e we connected.com. Regular English. All my contact information’s there or you could Google me. Greg: You are very open with your contact information. If anyone wants to get ahold of Mike Mueller, it’s very easy. You have to try a little bit and he’s out there.